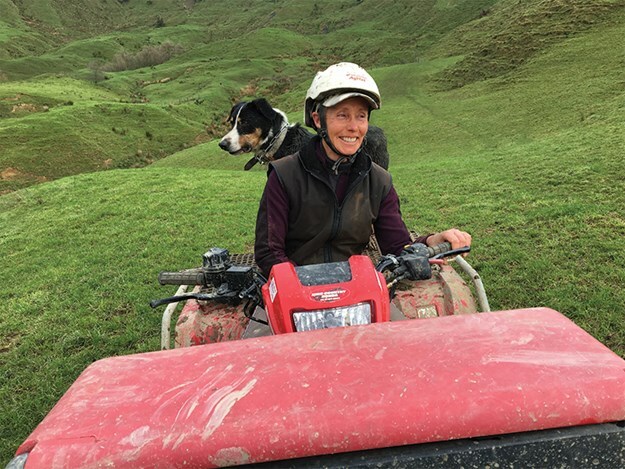 When King Country sheep and beef farmer Wendy Coup woke up with back spasms five years ago, it was the start of a journey to rediscover what she enjoyed about life and farming. Wendy’s ‘bad back’ turned out to be burnout. The challenges of farming a 700-hectare hill country sheep and beef farm with 7000 stock units caught up with the hard-working farmer, who is based two hours’ drive from Hamilton. "I was so wound up in the job and what I did here," she says. "I was farming and helping manage the business. There were other factors, too. My father had died, my eldest child had grown up and left home. It was a bit of a perfect storm. Even though I loved the farm I always felt like the farm was going to kill me." Walking away wasn’t an option for Wendy. "I loved being on the farm most of the time. I have a great husband and we have a great business. But when I delved deep in my heart and head, I discovered I was just so out of balance. I had to take a step back and make my life what I wanted it to be." Wendy describes taking small steps to rebuild her life each week, including attending an Agri-Women’s Development Trust (AWDT) course to ‘re-frame’ her skills. This made her realise that although she loved her job, there was a creative side to her personality she was neglecting. Having always held a passion for classical singing, she assumed that living in remote Aria in the King Country ruled that out as an option. A chance encounter in town changed it all. It turned out there was a singing teacher just an hour’s drive away in Otorohanga. "I’m now five years down the track singing classically. It’s something that I had always wanted to do. That really helped me regain some balance. It made me get off the farm every week and it was non-negotiable. Nowadays, Wendy is proactive about her health. 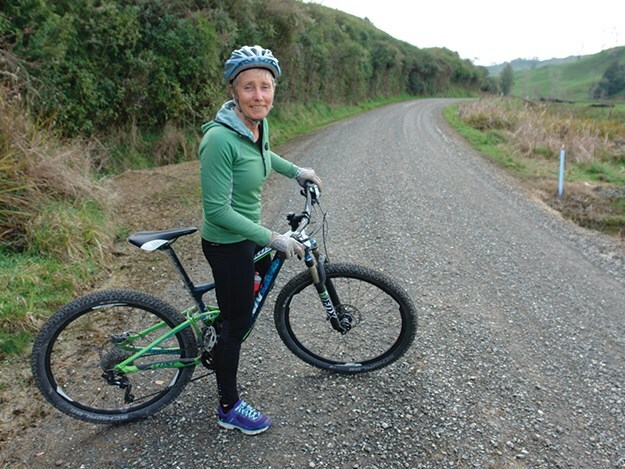 She devotes Wednesdays to singing lessons, maintains a daily journal to record insights and joyful moments on the farm, and is regularly on her mountain bike training for an upcoming adventure race. Wendy’s keen to share what she has learnt with other rural women, particularly those who feel emotionally isolated or are supporting a stressed partner. "Rural women are a bit of a breed I think. Juggling lots of responsibilities is one of our strengths. What I’ve learnt over the years is that as women, we have to be careful not to dial that up too much. "I guess when you’re a mum, a wife, and a community member, you often think ‘my time will come’, but often as women, we’re just letting time go past. We get so wound up in our businesses, families, and looking after our animals that our own wellbeing gets pushed to the side. "What I learnt is that when you completely identify with your job or business, it’s a vulnerable place. You need to step back and nurture yourself at the same time as running a business. That’s what I did." Time off - No one is going to come and tell you to have time off on a farm. You have to prioritise it and make it happen yourself. I’ve deliberately grown my interests outside of farming to develop more balance in my life. Managing fatigue - On a day-to-day basis, we always have a sit-down lunch break at home or out on the farm. That gives you the rest time you need. Staying connected - Because we live in isolated situations, I think you have to work quite hard at your friendships. You have to prioritise them so you can have time with the friends who are important to you and who will support and affirm you. Healthy thinking - When you’re farming, it’s easy to get bogged down in just doing the next task. That’s why I like journaling three good moments I’ve had in my day. It could be something as simple as stopping the bike and sharing a moment with my dog. Journaling helps you notice that we work in an amazing environment and that there is a lot of joy in life. Exercise - My tip would be choosing something you love doing that is going to be sustainable. I love getting out on my mountain bike. When my children were young, I use to go running every morning. It was regular exercise and it was achievable.